Do you love chocolate covered cherries? I do! I do! Unfortunately they are super unhealthy and I am not sure what those cherries are made from. My love for chocolate covered cherries led me to discover a healthy alternative. Allow me to introduce to you my Chocolate Cherry Energy Bites! These energy bites are delicious and the best part is they are nutritious and do not contain “mystery” cherries. 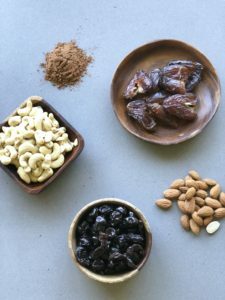 The chocolate cherry energy bites are made from raw nuts, dried cherries, medjool dates, and raw cacao. 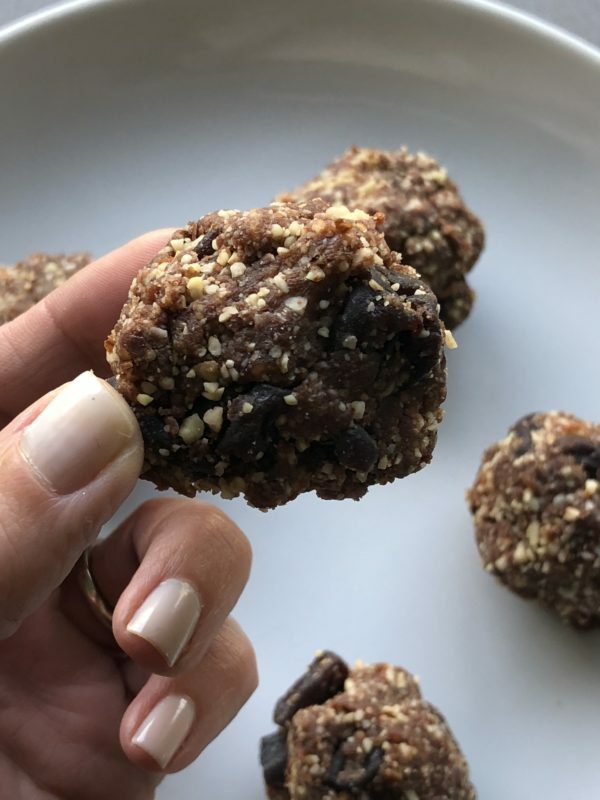 There is no added sugar, flour, or grains making this a great after school snack for the kiddos, a yummy post gym snack, or a night time bite for satisfy your sweet tooth. Each ingredient serves a purpose in the body. The raw nuts provide plant based protein and fiber. And since they are raw they contain natural enzymes that are beneficial to the body and aid in digestion. Cherries are a source of antioxidants. Studies show that consuming tart cherries after exercise decreases inflammation. Runners especially benefit from cherries after vigorous training. 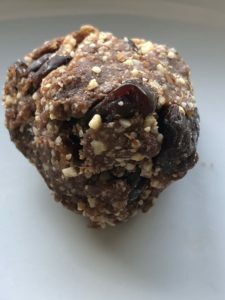 The chocolate cherry energy bites is super simple to make. Check out my video below to see how I prepare this recipe. If you have 10 minutes you have plenty of time to make this delicious snack. Give it a try and let me know what you think. 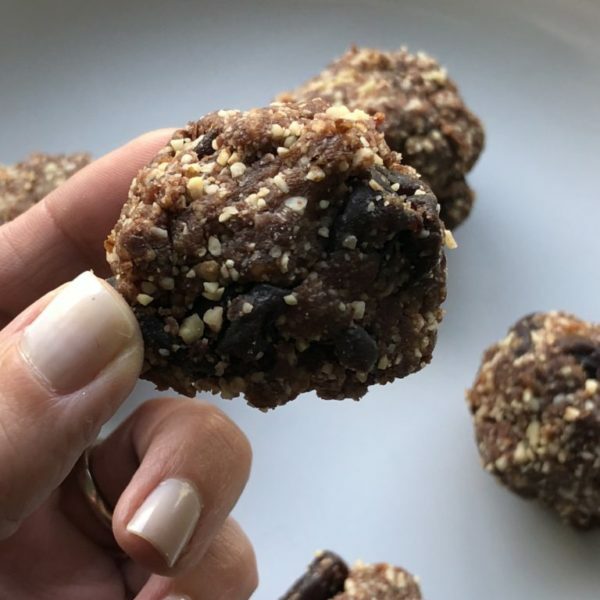 The chocolate cherry energy bites are made from raw nuts, dried cherries, medjool dates, and raw cacao. There is no added sugar, flour, or grains making this a great after school snack for the kiddos, a yummy post gym snack, or a night time bite for satisfy your sweet tooth. Place the nuts in a high speed blender or food processor. 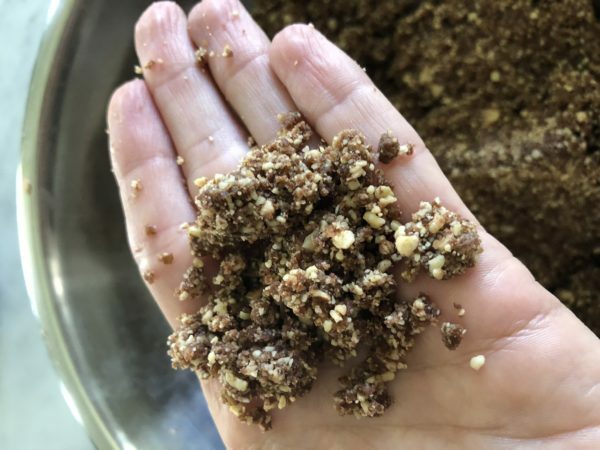 Pulse nuts into a grainy consistency. Be careful not to blend too long and create nut butter. Add medjool dates, salt, and raw cacao. Pulse into ingredients blend. The mixture should stick together so that you can roll the energy bites into a ball. Place mixture into a mixing bowl and add cherries. Mix together and begin forming the mixture into a ball. The recipe will make about 15 energy bites. Store in an airtight container in the freezer or refrigerator.